We are a family building renovation and oak joinery business with 40 years experience. Our workshop and timber yard is situated in an ancient woodland in Mid Wales, there we make oak frames and joinery plus we a have a sawmill where we machine our own timber. 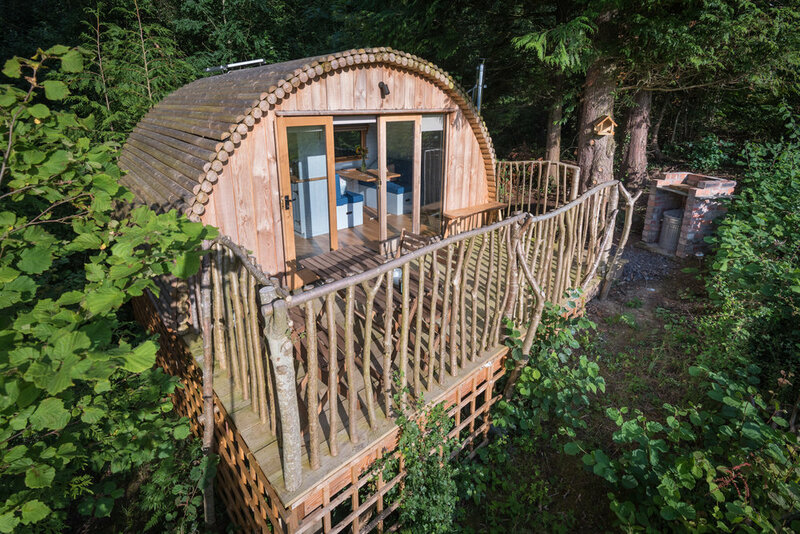 In 2013 we were granted permission to have log cabins and glamping pods in our woodland site and we wanted to design a pod in a way that used local materials, has low ecological impact and blends in with the natural environment. We also wanted to design a pod with large glazing to maximise any un-spoilt views. 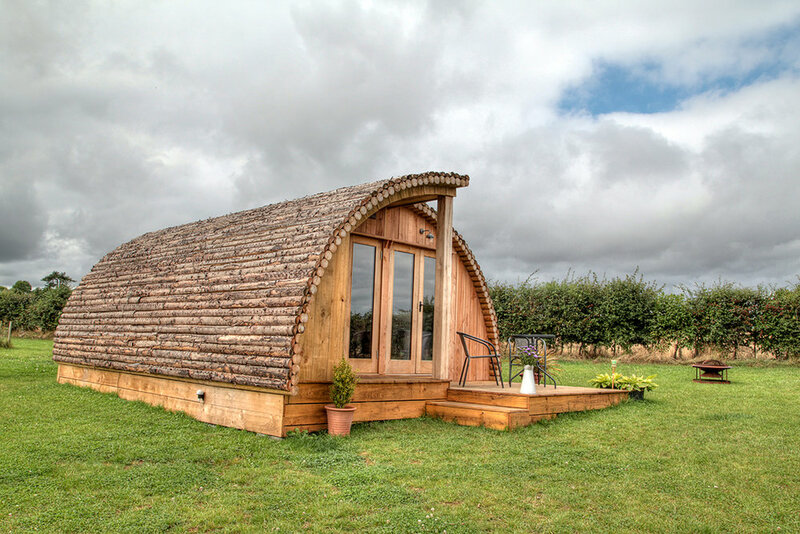 We wanted our pods and cabins to be used all year round in all weathers and to last with minimum maintenance. Another idea was to have a pod design which could have many uses with different design options all from a basic design module. 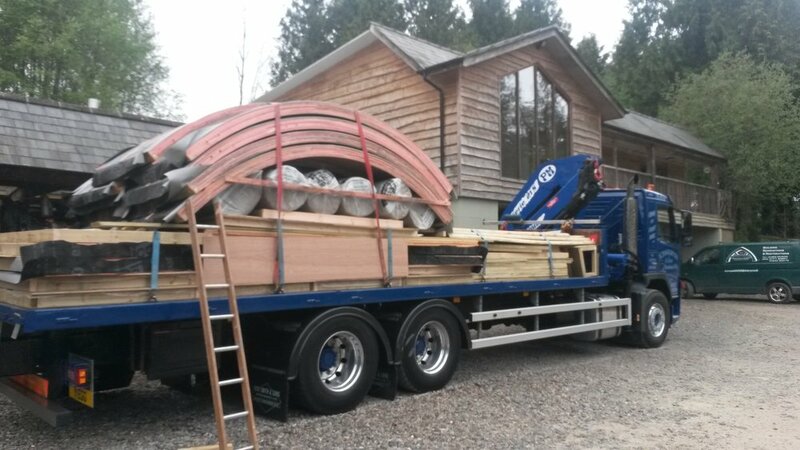 The moduLog was born and we have since installed our pods, cabins and garden room all over the U.K.
creating new designs with the aid of our moduLog models. We have our design range but you can also create your own bespoke moduLog to suit any personal requirements and budgets. Every moduLog is designed in modules, all of which are the same size. With 6 different module types to choose from, you can create your moduLog for your needs. We simply design your moduLog by arranging your chosen modules in position. Adding together the modules enables you to create your own bespoke design. 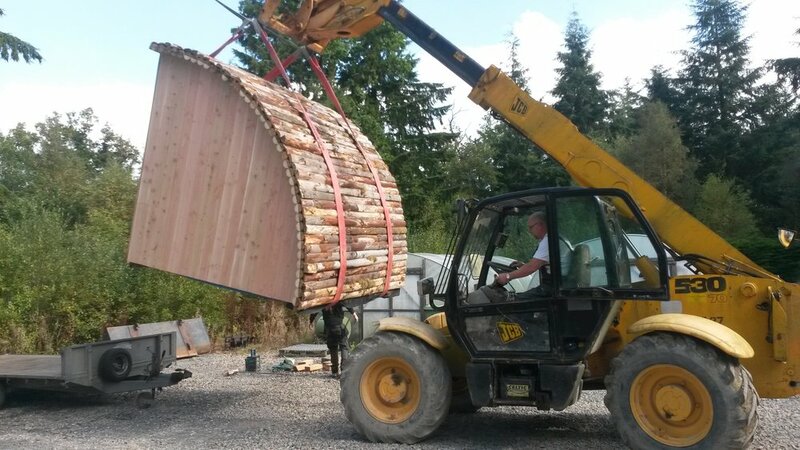 For a larger moduLog design we arrange the modules face to face to create a half round shape. End gables can have a variety of window and door options including bi-fold doors. There are finish cladding options available with a full list of optional extras found here. With its modular design we can create you a unique bespoke moduLog cabin to suit any personal requirements and budget. With all new designs it will be named after the clients and added to our range. We can deliver throughout the U.K. and if you have access problems with our kit form all elements are designed to be hand carried for assembly onsite. moduLog kits are available for self-assembly plus our smaller units can be delivered pre-built.